2 Hour Swim with Dolphin / Seal & Coastal Snorkelling Safari departs from Christmas Cove Marina, Penneshaw. Have the opportunity to swim with wild dolphins or among seals and snorkel some of KI’s beautiful coastline. Its a great wildlife encounter! 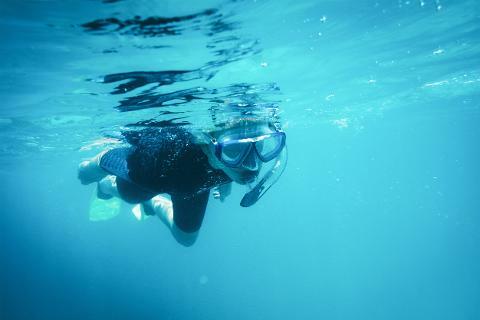 We provide wet suits, mask, towels, snorkel & fins. Arrive at Christmas Cove Marina in Penneshaw 30 minutes prior to departure. 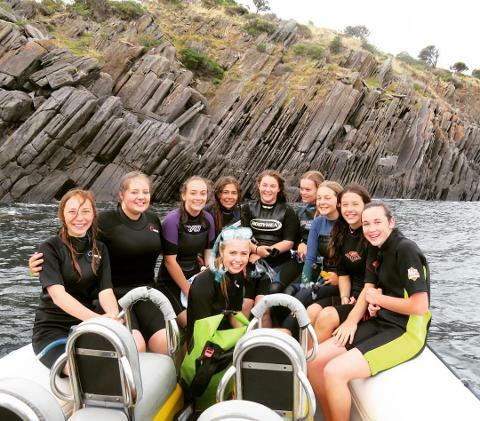 You will be fitted into the appropriate sized wetsuit, mask, snorkel and flippers as well as be provided with a safety brief. Then jump on board our 12 seater vessel in search of the marine life that inhabits the stunning coastline. 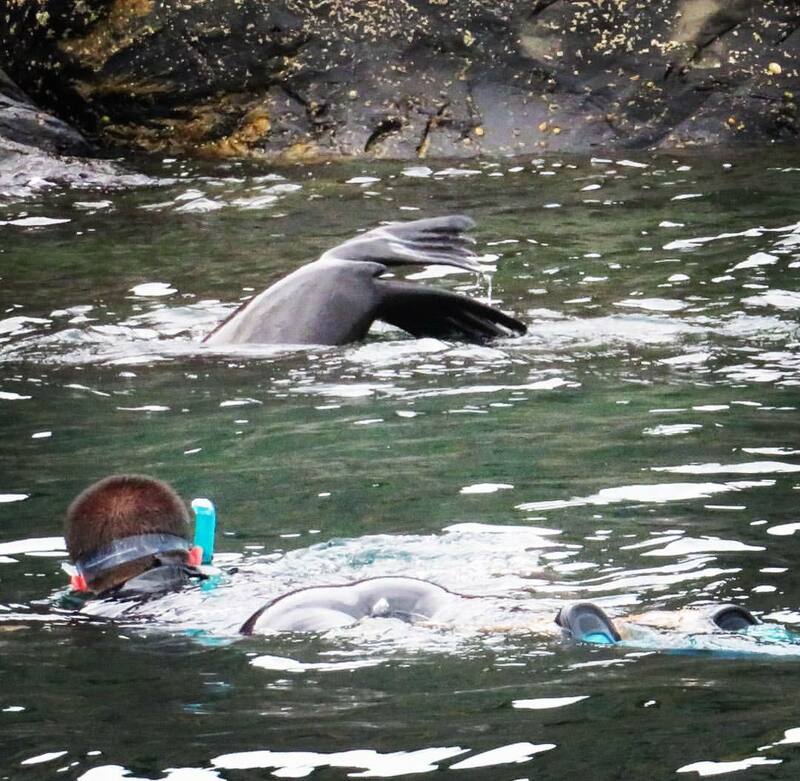 Seals often become very interactive and playful and provide a unique snorkelling experience. KI Ocean Safari are the only operator in South Australia that provides the opportunity to swim with the Long Nosed Seals. Also have the opportunity to swim alongside dolphins in the wild. A truly unforgettable wildlife encounter. The guide will also provide informative commentary along the way. A swimmer line with buoys is often used at the back of the vessel for the dolphin swim. You may be required to hold onto this line at times with the vessel moving which will require upper body strength. These are wild animals and experiences change daily. Its all up to the animals as to how interactive they become. If wildlife does not permit you to go into the water on your tour and you are unable to participate in coastal snorkelling, we will provide a refund back to the viewing price. You need to arrive at Christmas Cove Marina, Penneshaw, 30 minutes prior to departure. 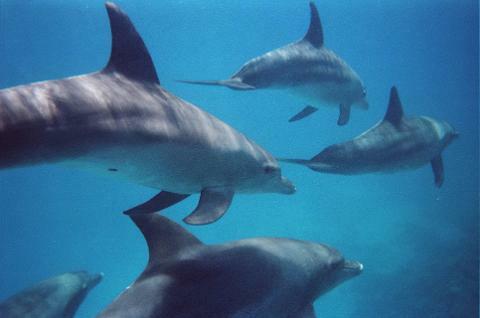 Children MUST be 10 years or older to participate in the swim with dolphins but children 8 years and over can participate in coastal snorkelling. Please note that this swim takes place in open water, therefore it is recommended you have reasonable swimming ability.